ecoswift has no other items for sale. 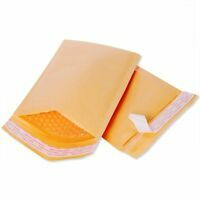 30 #000 4x8 Poly Bubble Padded Envelopes Mailers Shipping Case 4"x8"
500 #000 4x8 Kraft Bubble Padded Envelopes Mailers 4" x 8"
50PCS #0000 4x6 SMALL SELF SEAL KRAFT BUBBLE MAILERS PADDED ENVELOPES 4" x 6"
20 #000 4x8 Poly Bubble Padded Envelopes Mailers Shipping Case 4"x8"
Save up to $0.50 on shipping when you buy additional eligible items from ecoswift. Great seller, arrived ahead of schedule and exactly what I expected. THE BEST Five Star eBay Seller With Fast Shipping *****! Great product! FAST DELIVERY!!!!!!!!!! ****** Thanks! Fast shipping. Will buy from again! Thank you! 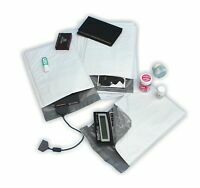 Ordered these to mail small items and trinkets such as pocket knives, coins, jewelery, etc. anything small. These appear to be well made and I am satisfied with the quality and price. Nothing available locally this size and the price of using larger envelopes saps your profit. I am very satisfied with these. Bubble wrap mailer for just about anything! 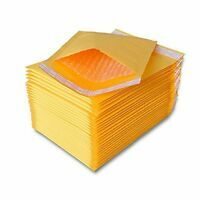 I highly recommend this mailer, its suitable for just about anything that weighs 1-2 pounds. I wrap books in cardboard and slip it in this mailer. I Bubble wraps tins that don't fit in a box and send them out with this wrap. I have shipped shirts and ties, I think for 25 cents a piece and when you buy 100, you cannot go wrong and it adds a lot more protection than a thin poly mailer. Nothing but good things to say about this Product. I use this size mailing envelope quite often and not only appreciate its quality but the rice was phenomenal! 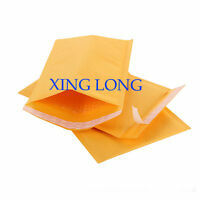 I found them to be a durable product that I use every day for shipping small items. They see a well if you make a mistake you can still pull it apart and reseal it back for a tight seal.